The Size… Much bigger than your average NYC Starbucks. There’s only one seating area but it’s spread out enough not to feel cramped. The Seating… A long L-shaped sofa, an even longer communal table and several tables for two and four. The Decor… From seating to lighting, this Starbucks is really well put together. The Restroom… There are two! They’re even separated by gender. Am I still in New York? The Location… A little off the beaten path. The closest train is 6, which is still a few blocks west. 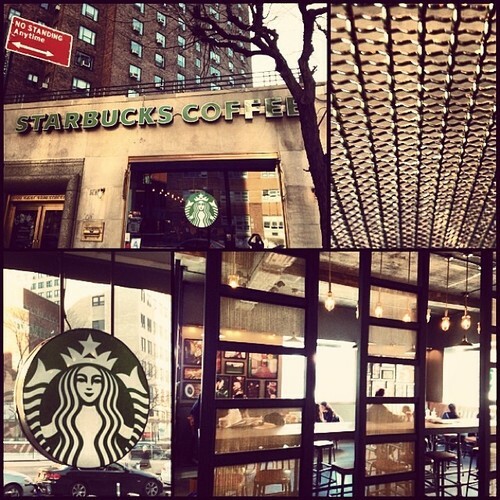 A large and beautifully decorated Starbucks at the edge of Manhattan in Kips Bay.